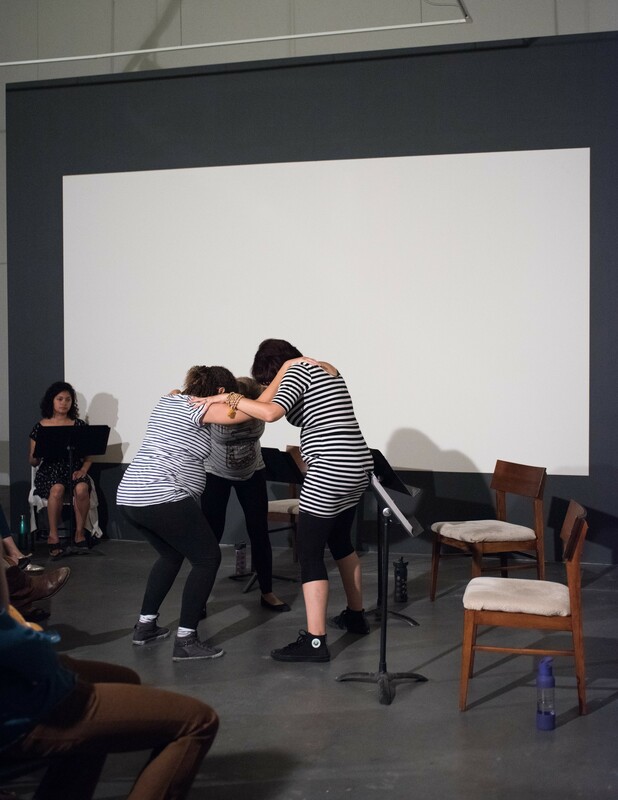 Rachel Kauder Nalebuff, director Deena Selenow, and three performers rehearse for The Bumps, which will be presented Feb 2-4, 2017 as part of the Skirball Cultural Center's inaugural Performance Lab series. Rachel Kauder Nalebuff is a playwright and author. She is the creator of The New York Times bestseller My Little Red Book and co-editor of The Feminist Utopia Project (Feminist Press, 2015) with Alexandra Brodsky. Most recently, her work has been performed at JACK, REDCAT, Machine Project, and the Women's Center for Creative Work. Her new play The Bumps, directed by Deena Selenow, will be presented Feb 2-4, 2017 as part of the Skirball Cultural Center's inaugural Performance Lab series. BA Yale. MFA Brooklyn College '18.